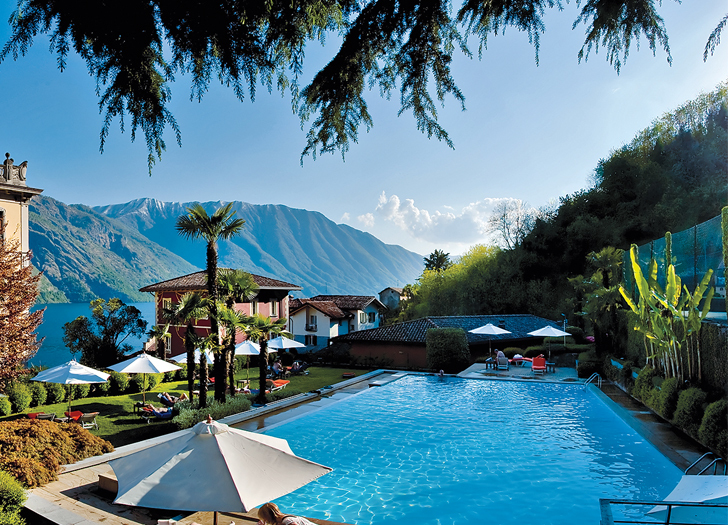 Poolside at the Grand Hotel Tremezzo. Italian playground for the crème de la crème. Dining with a lake view. A room overlooking Lake Como at the Tremezzo. With its unusual wishbone shape and dramatic setting against a backdrop of snow-kissed peaks, this cobalt-colored lake an hour from Milan has lured luminaries from Lord Byron to George Clooney to its shores. 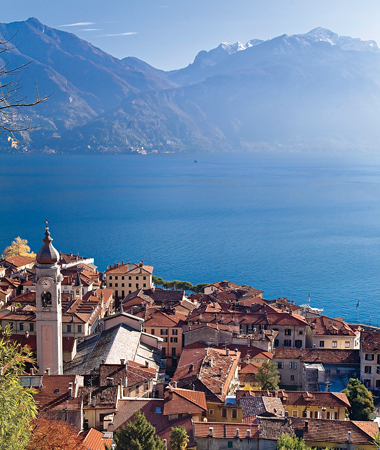 Perhaps best maneuvered in a red Ferrari, the twisting roads that fringe Lake Como define the region’s jet-set spirit. In summertime, the lake is a veritable child’s toy-filled bathtub of activity, with Jet Skis, sailboats, wind surfers, and swimmers splashing in its glacial waters. 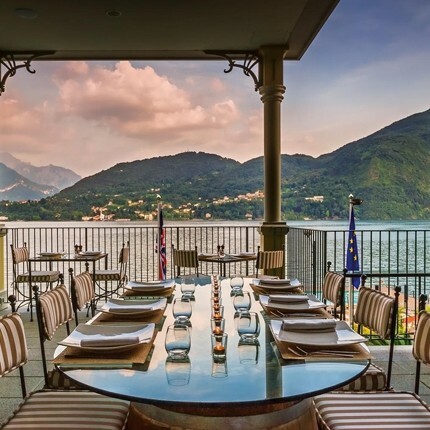 First popularized by Victorian travelers, this resort destination retains some belle epoque grandeur, exhibited in the architecture of shoreside villages such as Bellagio, Tremezzo, and Como. Snazzy boutiques, waterfront eateries, and gelato shops brim with hot-weather crowds, but romantic nooks can be found for those who desire something more reclusive. End your day like the locals with an evening saunter, or passeggiata, along the lakeside promenades. Lavarello. You’ll find this moist white fish everywhere. Try it sautéed with butter and sage. May through October brings the best weather to Lago di Como. Italians throng there during July and August weekends, so consider a weekday stay if you want to avoid the crowds. Originally appeared in Virtuoso Traveler magazine, June 2014.